I love eye pencils more than liquid liners and I keep on collecting new colors from different brands. 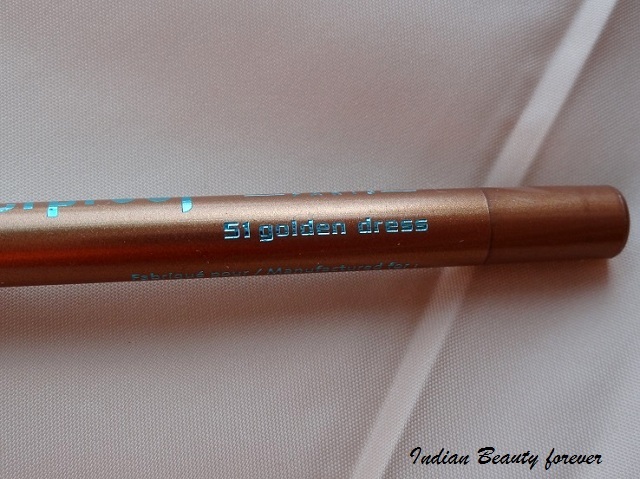 Today, I will be reviewing Bourjois Contour & Clubbing Waterproof Eye Pencil in Golden Dress which I bought from Lifestyle with some of my other makeup purchases. 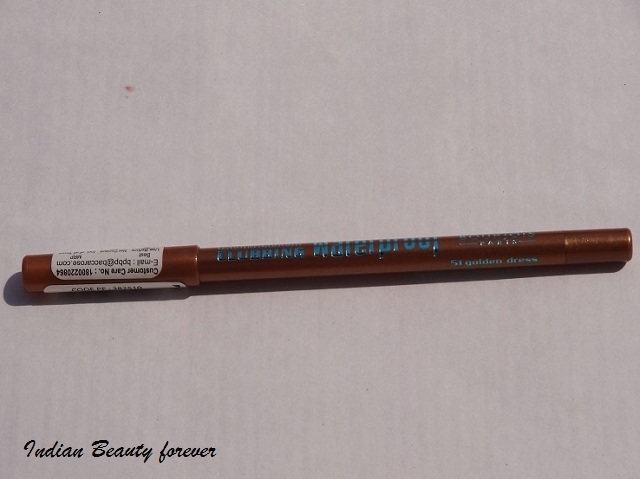 Price: Bourjois Eyeliner pencils come at Rupees 445 comes in variety of shades. Brand Claims: The Contour Clubbing Waterproof eye pencil is the perfect finishing touch to a smoky look. Its waterproof formula is crease-resistant and makes for a perfect adherence of the colour. Its ultra-soft gliding texture enriched with jojoba and cotton oils intensely outline the lash line. Packaging: It comes in a pencil form, made of wood with matching plastic cap. It is very accurate in size, can be carried in purse or in small makeup kit. Experience: Basically I went to Bourjois counter to buy its cream blush and check out its rouge edition velvet lipstick. When I asked for its cream blush, SA seemed like as if I was asking for some shoe range at beauty counter. He said Bourjois cream blush? No ma’am we have its powder blush and we have cream blush available in Maxfactor. SA was also unaware of Bourjois velvet lipstick so I told him that it’s there at its international site but might not have launched in India yet. 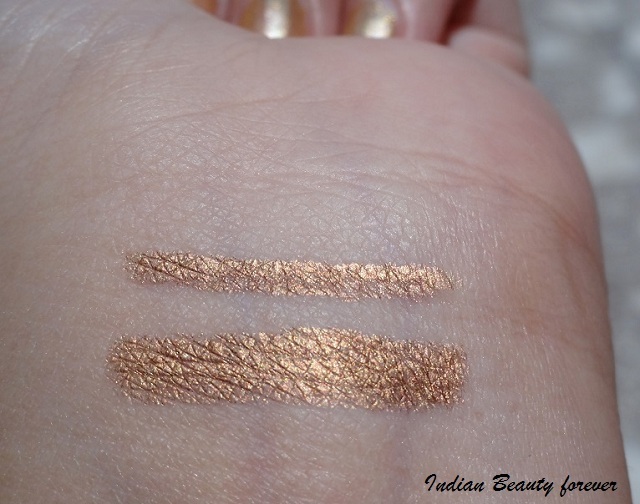 Then I saw some eye pencils and selected Bourjois golden dress. 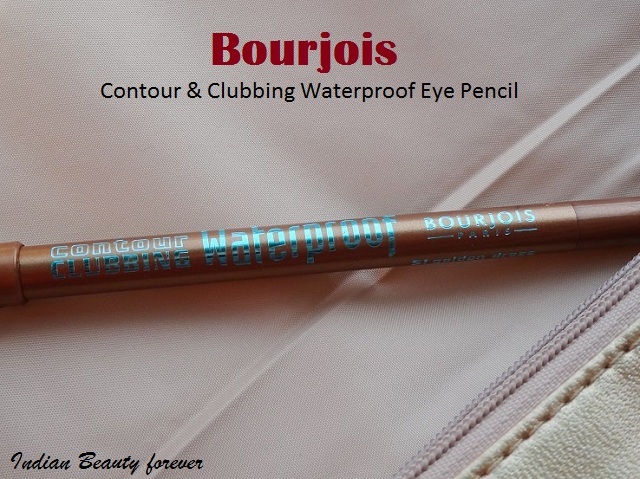 Product Texture & quality: This is my first Bourjois purchase and I am really impressed because this pencil has very creamy texture. 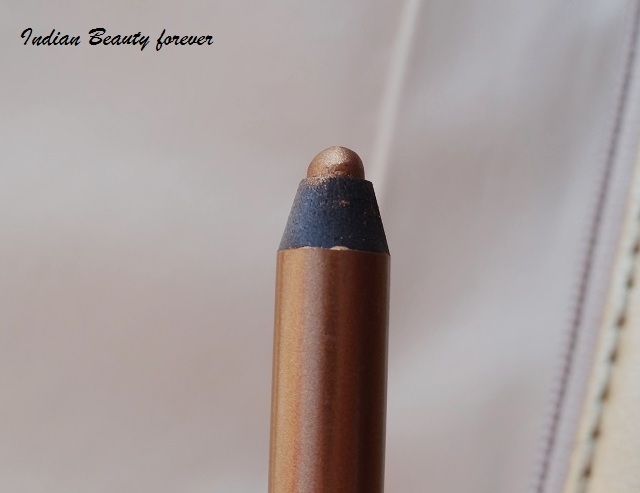 It is a very subtle coppery golden colored eye pencil which can also be used as an eye shadow. 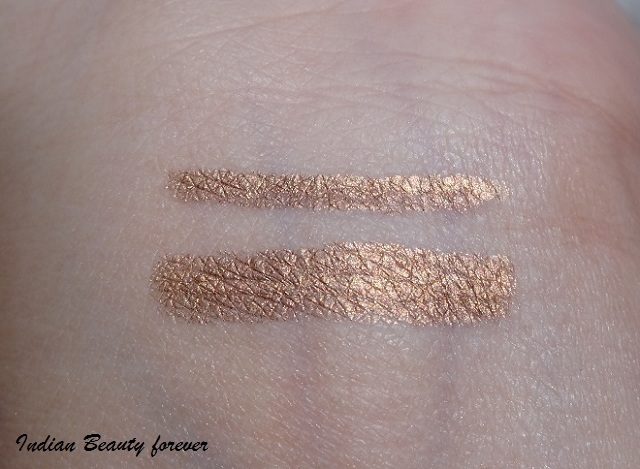 I did not face any problem while using it either as liner or as eye shadow, it glides and blends like dream. It blends easily as eye shadow and do not give any harsh lines on eye lids. I use it as both way and it is waterproof and long lasting too but at the same time this pencil will not give hard time to get rid of it. This can be removed easily with cream cleanser or a makeup remover. Final Take: I am completely in love with this pencil and use it quite often. 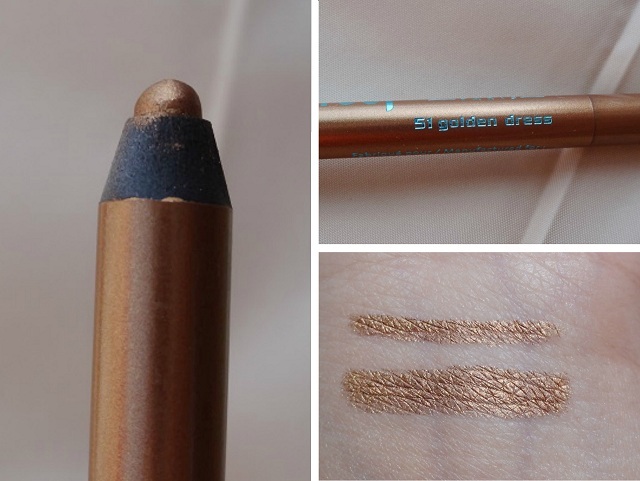 I would recommend it to everyone who loves to experiment with new eye pencils and colors. I read somewhere few days back that Bourjois has launched its Rouge Velvet Lipsticks in India. I can't wait to try them out.